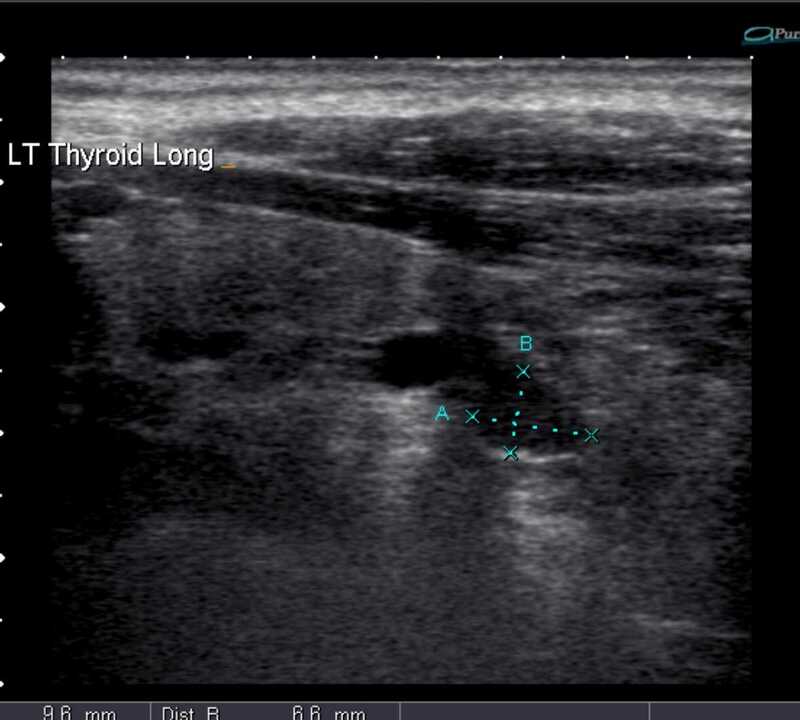 Image 1 (Ultrasound): A well circumscribed hypoechoic mass measuring up to 8mm is located deep to the inferior left thyroid pole. The appearances are consistent with a parathyroid adenoma. 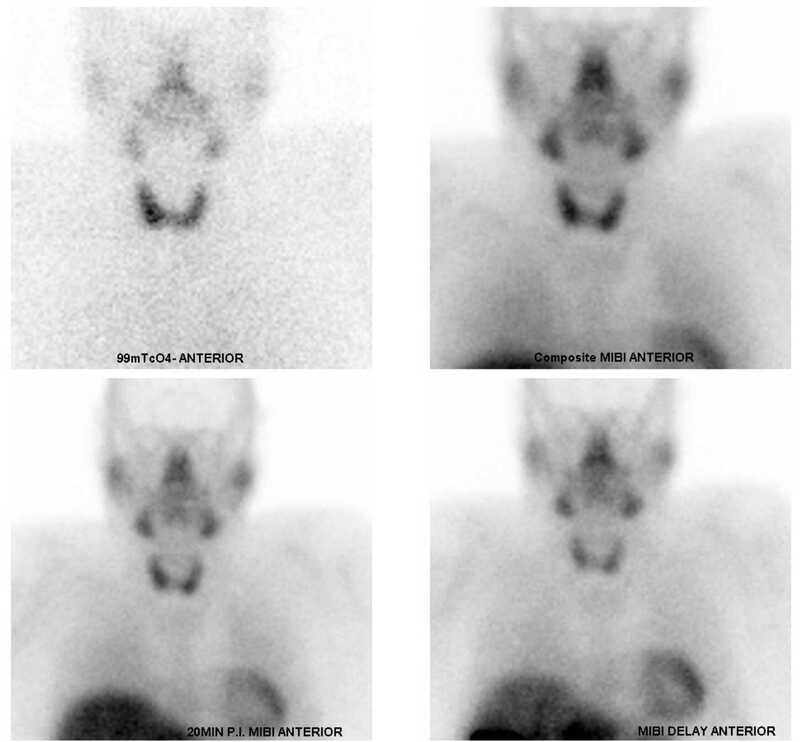 Image 2a, 2b (Pertechnetate and Sestamibi Study), and 2c (SPECT): Initial pertechnetate images show uniform tracer distribution throughout both thyroid lobes apart from a small focal area of increased tracer uptake at the inferior pole of the left lobe of the thyroid gland. 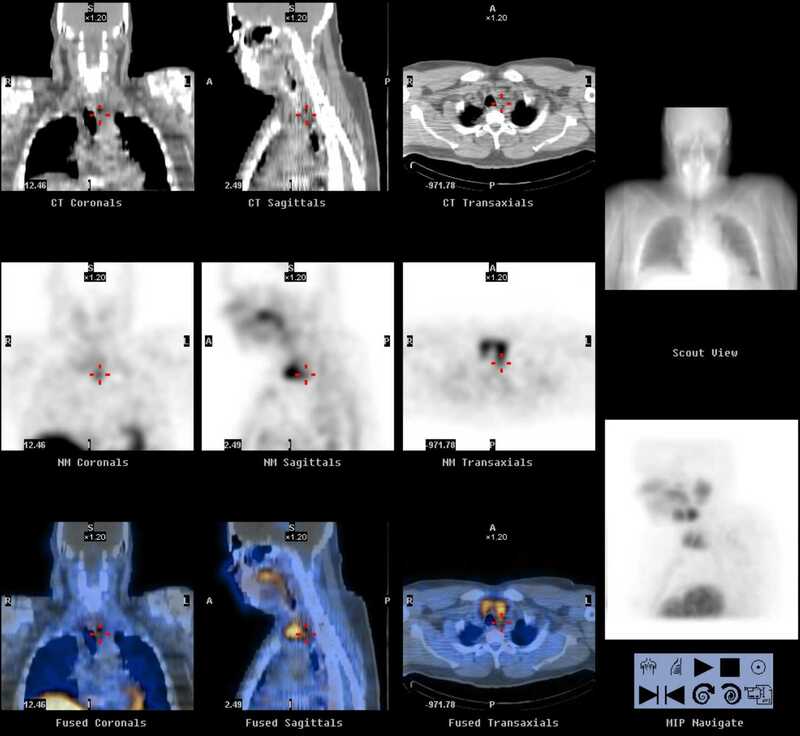 MIBI early and delayed images show increased uptake in the left and right lower poles of the thyroid. 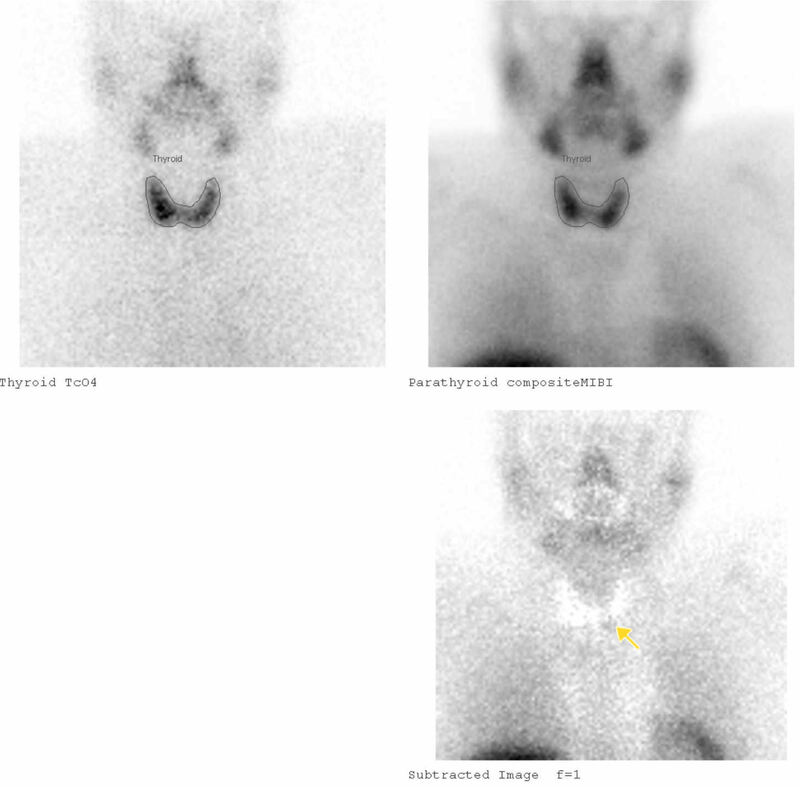 On subtraction images, there is an area of increased tracer activity near the inferior pole of the left lobe of the thyroid gland which represents abnormal parathyroid tissue (arrow). SPECT is used to help anatomically define the abnormal area. 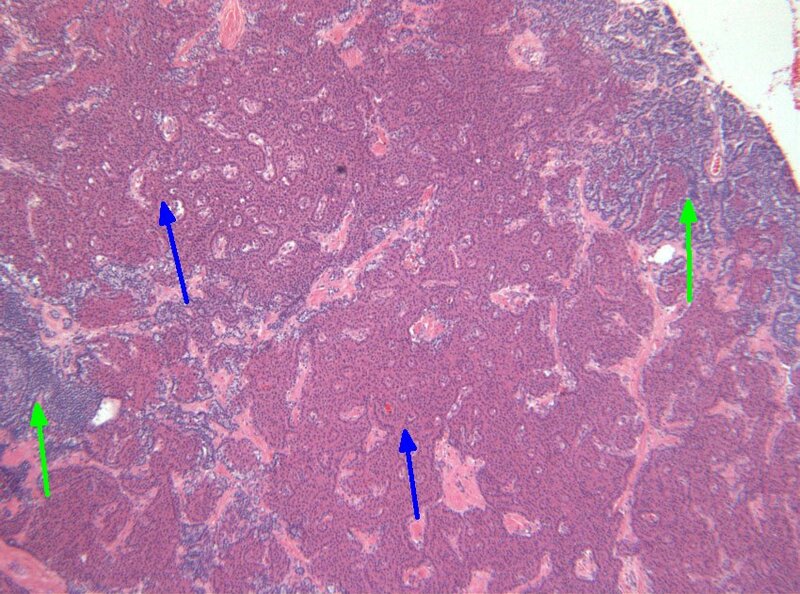 Image 3 (H&E, x2.5): Histological section of a parathyroid adenoma showing sheets of monotonous oncocytic cells (blue arrows) and chief cells (green arrows) with no adipose tissue.